Missing Tooth Replacement Options: Implant, Bridge or Denture? So you have lost a tooth, a few teeth, or maybe all of them and want to know how you can replace them? You may have lost the tooth quite some time ago and you finally want to do something about it or perhaps you know you will be losing a tooth soon after seeing your dentist or maybe you are in a lot of pain and you just want the tooth out. Whatever the reason for losing a tooth, you now want to know what your options are for replacing it. 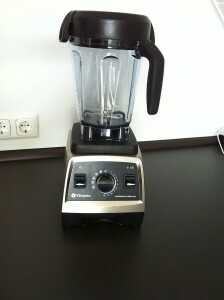 Your missing tooth replacement options are to do nothing and just accept the missing tooth/teeth and buy a food blender. Or you can get a partial denture, get a bridge, or get an implant. A dental implant is basically a titanium screw that is inserted into the space where the missing tooth was and a fake tooth is attached to it. Click here to read my introductory article on implants. Implants look and function just like a real tooth. The implant fuses to the bone in your jaw and the forces generated during chewing are transmitted to the bone under the implant tooth very much like a normal tooth. The implant tooth also emerges from the gums just like a tooth and is practically indistinguishable from a natural tooth. Implants prevent bone loss following the loss of a tooth or teeth. When the bone senses the presence of the titanium implant, it will bind to it and not cannibalize itself as it would if no implant was placed. This can prevent a sunken in looking face following the loss of a tooth. Implants don’t damage the teeth next to the implant. A bridge needs to be attached to the teeth surrounding the missing tooth. To allow space for the bridge to sit on, these teeth have to have the enamel drilled off from the outside of the teeth. An implant on the other hand is attached directly to the bone under the missing tooth rather than to the adjacent teeth. This means there is no need to touch the teeth next to the missing tooth. Implants don’t get decay. Implants are made of metal and porcelain and as such will never get decay. Implants last a very long time. Implants are very strong and will last for a very long time. Implants have been around since the 1960s and most of the implants placed in the 1960s and beyond are still functioning perfectly well in their patients mouths. It would seem an implant can easily last at least 50 to 60 years! More commonly, the fake tooth on top of the implant can break or become unscrewed from the titanium screw in the bone, but this fake tooth can easily be replaced. Implants are very expensive. In my experience this is the main reason people don’t choose implants to replace a missing tooth. Just one implant can set you back $4000 or more! If you have more than one missing tooth, the cost can become incredibly expensive. It is not unusual for somebody to spend over $40,000 to replace all their missing teeth with implants. Dentists in countries like Thailand and Mexico charge much much less. Read my article on dental tourism for more information. Implants can’t push back out a sunken in face. When many teeth are lost, a substantial amount of bone is cannibalized after 6 months to a year and the face sinks in as the bone is no longer supporting the mouth and cheeks. In this case, a cheap denture can improve facial appearance much better than implants alone will. Implants can take a long time to make. Getting a missing tooth replaced with an implant can take up to 7 months. This is because after the tooth is removed, the dentist may have to wait up to 3 months to place the implant screw and then may have to wait another 3 months before getting a dental lab to start making a fake tooth to sit on top of the implant screw. It can then take up to a month for the lab to make and then send back the fake tooth to the dentist. A dental bridge is where the teeth on either side of the missing tooth are covered with a strong metal and/or porcelain material and a fake tooth bridges the gap. It is easier to understand if you look at a picture of a bridge like the one pictured above sitting on a stone model of a patients mouth. A bridge is fixed in the mouth. 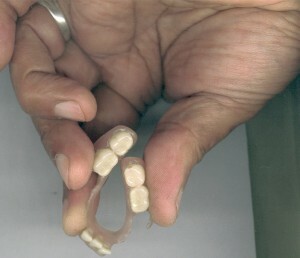 Unlike a removable denture, a bridge is glued to the teeth in the mouth, so feels more like real teeth than a denture. A bridge makes eating easier than a denture. While a bridge isn’t as good for eating on as an implant, it is still a lot better for chewing food with than a removable denture. A bridge looks better than a denture. A bridge is a great option if the teeth surrounding the missing tooth are weak. Teeth that have been weakened with large fillings or by having been root canal treated in the past can be strengthened by being crowned. A dental bridge involves crowning these teeth before bridging the gap, so we can kill two birds with one stone by using a bridge in that situation. Bridges are hard to keep clean. Because bridges are stuck to the teeth surrounding the missing tooth, it is impossible to floss with conventional floss and food and plaque get caught under the bridge which can lead to decay. If decay forms on the teeth holding the bridge, the bridge may be lost. Bridges are still quite expensive. Although a bridge is about half the price of an implant. It still easily costs over $2000 to replace just one tooth about twice the cost of a partial denture. Bridges don’t prevent bone loss. Once a tooth is lost, only a dental implant will prevent the bone that was around the tooth from becoming cannibalized. A partial denture is a removable device that can replace one or multiple teeth. If all the upper or lower teeth are being replaced, then the denture is referred to as a complete denture. A partial denture can be made out of acrylic, metal or nylon. 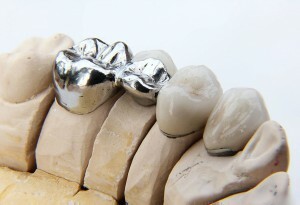 The metal partial dentures fit best and are light, but are twice as expensive as the acrylic types. The nylon (valplast type) partial plates have absolutely no metal and tend to fit and look better than the acrylic plates. The acrylic plates are the least expensive, but are heavy, often don’t fit very well and usually require metal clasps that hook around a few remaining teeth to prevent the denture from falling out. When I discuss the pros and cons of a partial denture, I will be focusing on what is true of all of the different types of partial dentures. Partial dentures are inexpensive. A partial denture costs as little as a few hundred dollars. They are especially economical when you need to replace many missing teeth as the cost doesn’t increase that much with each additional tooth. Partial dentures can plump out the face. When many teeth have been lost for more than 6 to 12 months, a substantial amount of bone is lost and this may cause the face to sink in. The acrylic of a partial denture can replace the volume of missing bone and push the face back out to where it was before the teeth were lost. Partial dentures accelerate bone loss. The denture pushes directly on the gum when eating and this pressure leads to a further loss of bone than would be the case without the denture being there. Partial dentures are not fixed in the mouth. Many people find their self esteem suffers from having fake teeth that they have to put in a glass beside their bed at night. The denture can also fall out easily possibly causing public embarrassment. Partial dentures look fake. Partial dentures can just look funny. The teeth don’t quite match the natural remaining teeth. Often the metal clasps holding the denture in place are also visible to others. Partial dentures are hard to eat and talk with. A plate, particularly the acrylic ones that are only supported by the gum tissue rather than the remaining teeth, can only be eaten on with about a quarter to half the biting force of a normal tooth. Often eating steak and raw apples and carrots can be next to impossible. The acrylic on the palate can interfere with the movement of the tongue and can cause lisps, slurs and whistling noises when talking. The last option is to not bother replacing the missing tooth. The main advantage here is the obvious money savings! Unfortunately, leaving a gap where a tooth was causes the teeth either side of the missing tooth to fall in towards the gap and these teeth become crooked looking. The tooth below the missing tooth will also grow up and will appear long and unattractive. Doing nothing is an ok option if you don’t mind negative affects on your appearance and if eating isn’t significantly impaired. A lot of people don’t seem to mind leaving a gap if the missing tooth is towards the back of their mouth where nobody can see it. In my opinion, if you can afford it replacing missing teeth with implants is usually the best option. Exceptions to this may be where many teeth have been missing for a long time and the face has become sunken in due to this. In that case, a denture may be the best option. Bridges are a great option if the teeth either side of the missing tooth are weak and would benefit from being crowned. I hope you have gained a better understanding of the options available for replacing missing teeth. If you have any questions or would like to contribute your own opinion, please do so in the comment section below. This entry was posted in Bridges, Dentures, Implants, Missing Teeth on October 26, 2015 by David. Very enlightening article. I’m only 38 and thankfully don’t have to make this choice yet, if anything it reaffirms the “prevention is better than cure” with me. Tooth decay is pretty expensive too! Wow. I had no idea it was quite so much. I did hear about an enamel regrowth technique that is very new, a “regeneration gel”. Seems to be still experimental? Well, I’m no expert! You said it! Prevention is definitely better than a cure! You will save a lot of money if you maintain good oral health by brushing, flossing and avoiding eating sugar too often. I actually have patients younger than you who have lost most of their teeth by not looking after them and have had to make the decision of whether to get a bridge, implant or a denture. A regeneration gel that helps regrow enamel sounds wonderful, but I wouldn’t rely on it. Even if it did exist, you’d still need to have the tooth in your mouth for it to work. I’m familiar with both bridges and implants and your summaries of the positives and negatives of treatment options is helpful. I noticed that you didn’t mention the possibility of implants failing. This is exactly what happened to me four years ago when I had an implant in the back of my mouth and started experiencing excruciating pain from the moment I came out of the twilight sleep until it managed to eject itself from my mouth 2 1/2 weeks later. I guess i was in the unlucky 2% or so I’ve been told by my regular dentist but it really something people should be aware of. Good point Lynn. Even implants rarely fail which unfortunately happened to you. On the topic of implants failing –Implants are more likely to fail on people who smoke, people with gum disease and diabetics. Thanks for posting very informative information. I have 3 missing teeth(molar + 2 teeth before it) in the upper jaw for over 10 years have neglected to have them taken care. And now my face have sunk in and I want to know if dental implant will help with my sunken in face. This is a follow up question to whether dental implant will help my sunken in face with 3 missing teeth(molar plus 2 adjacent teeth next to the molar) in the upper left jaw . Because I lost a lot of bones so in order to have implant I will need sinus augmentation and ridge augmentation. will the bone grafting help my sunken in face in this case and should I proceed with the dental implant?. Hi! I like reading your post. It is very informative. If I have a choice, I would prefer the transplant. It is very convenient and it has a lot or advantages over the other options. The only problem is that it is too expensive and not everybody can afford it. My daughter has a transplant and she paid over $10 thou for just 2 missing teeth. And yes, it took too long to get done. For myself, I’m not sure I have the patience and the money to spend. So I just stick to whatever is affordable for me.